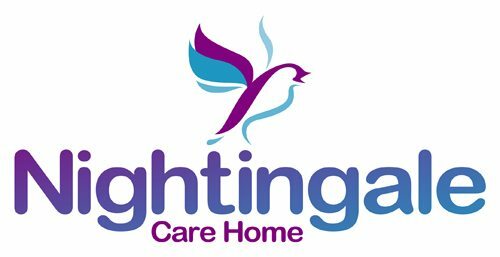 At Nightingale, we offer residents a varied and stimulating programme of entertaining activities. Our activities coordinator produces a programme that includes reminiscence, arts and crafts, bingo, relaxation, ball games, dominoes, card games and chairobics. Residents are encouraged to broach new ideas at our monthly residents’ meeting and their own interests and hobbies are promoted, with staff delighted to assist whenever necessary. A DVD player, 2 large flat- screen televisions, high quality sound system, daily newspapers and our small library of books provide our residents with stimulation and diversion. Family members and the community are always welcome to volunteer with activities and events. Special events at Nightingale are special indeed when celebrated together. Birthdays, Christmas, Easter, Halloween and Bonfire night are all marked with joyful festivities, whilst garden parties, barbeques and theme days are planned regularly to enhance the cheerful atmosphere. Religious services are held at Nightingale and residents can be taken to other religious services if they wish. Trips are organised outside the home to the cinema or theatre and tourist spots, such as the seaside or countryside with arranged transport and for those able to use it, public transport is easily accessible. We use a reliable and friendly taxi service for those residents who prefer to travel that way.